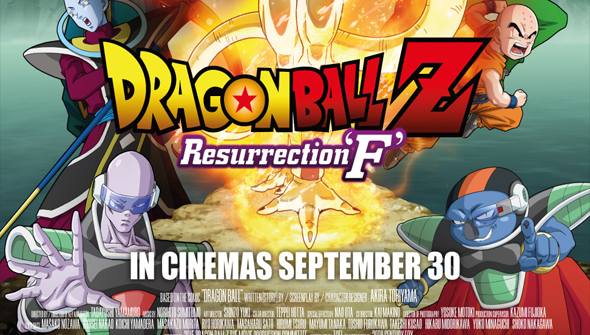 Fresh from conquering the States, the latest movie in the revived Dragon Ball Z franchise, DBZ: Resurrection F is gearing up to arrive in the United Kingdom. As previously announced, the film will be getting some limited screenings in cinemas across the country. Now the film's official UK website has gone live, Manga UK have revealed more details about the release. Currently the event is limited to September 30th, and will be screening an numerous Showcase and Empire cinemas across the country. However Manga have indicated that if demand is high enough, the even could be expanded further. You can prebook your tickets through the site right now, and nab an exclusive Goku or Frieza figurine to boot. The list of cinemas so far is below (more will be added later).